Star Wars revealed the amazing creativity of George Lucas. Star Wars characters seemed foreign—even alien—to American audiences. Of course, like all creative geniuses, Lucas had his inspiration. His characters resemble actual humans from a long time ago, but from a galaxy not so far away. Just on the other side of good old planet Earth, a few hundred years ago, samurai warriors were respected and revered. To Star Wars fans, it is no secret that George Lucas was inspired by Japanese culture when creating his Star Wars epics. Japanese influences can be seen in costumes, hairstyles, make-up, as well as the weapons and swordsmanship. Although the amazing visuals of the characters clearly have Japanese origins when you learn what to look for, the most telling influence of samurai warriors on the Galactic Empire may be Bushido, the way of the samurai. The spirit of Bushido is reflected in the Jedi Code. Lucas is known to have studied the works of filmmaker Akira Kurosawa. When you see this film, you will see the origins of the Jedi and Sith. Haven’t seen a Kurosawa film? You are in luck! 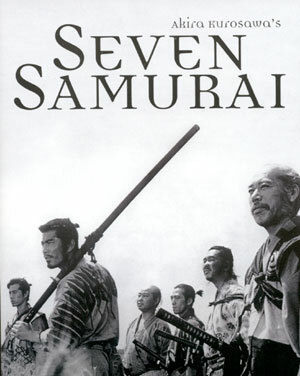 You can view the iconic film Seven Samurai at HMNS on April 14 and see the force of the samurai that inspired Lucas’ Star Wars empire. How did the code of the Samurai warrior translate to the Jedi Knights? Need light shed on the transformation of samurai sabers into an energy blade? How did the armory and arms of the Samurai influence that of the Galactic Empire? This summer you can learn about the influences the samurai made to the Star Wars movie franchise in special evening tour of the Samurai: The Way of the Warrior exhibit offered on June 18, July 16 and August 20. Space is limited, so book your galactic samurai adventure now! 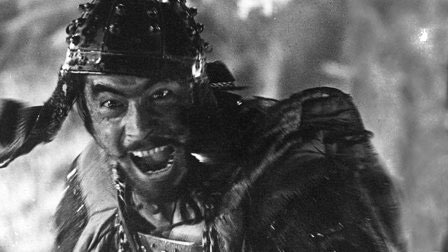 Tuesday, April 14, 6:30 p.m.
One of the most thrilling movie epics of all time, the newly restored, high-definition edition of Seven Samurai tells the story of a 16th century village whose desperate inhabitants hire the eponymous warriors to protect them from invading bandits. Filmmaker Akira Kurosawa weaves philosophy and entertainment, delicate human emotions and relentless action, into this tale of courage and hope. Mark Kerstein of Hokushikan Chiba Dojo will introduce the film. For advance tickets, call 713.639.4629 or click here. Armored warriors of the past inspired the creative genius of a filmmaker—in a galaxy not so far away. In this multimedia tour of the Samurai: The Way of the Warrior exhibit—led by HMNS staff and a few guest Jedi, Sith and Samurai guides—the origins of many of George Lucas’ Star Wars heroes and villains will be unveiled. You will also enjoy demonstrations of light saber and kendo katana. The compelling links between Samurai and Jedi will build your appreciation for both. For advance tickets, call 713.639.4629 or click here. Amy is the Director of Adult Education at HMNS. Previous Post The Greatest Dinosaur-ologist Ever! The Reverend Edward Hitchcock.